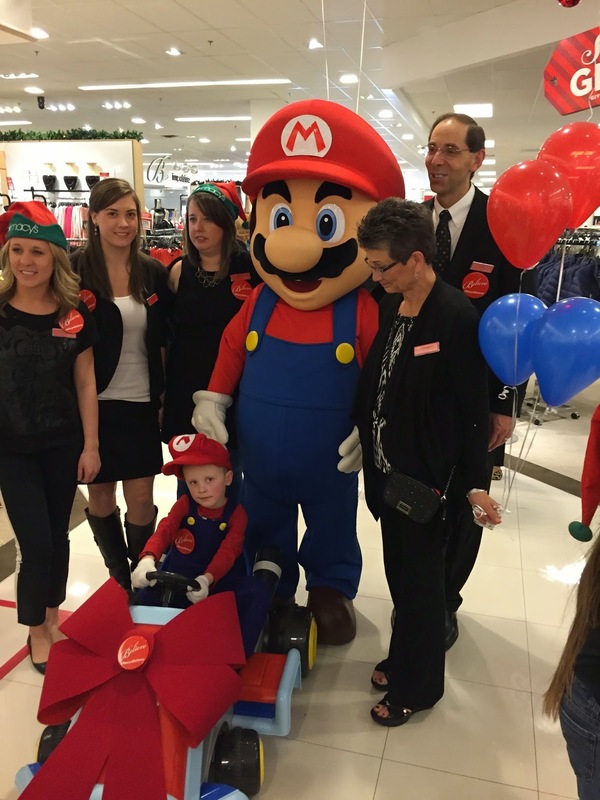 Just Another Day...: Make-A-Wish and Macy's... National Believe Day! 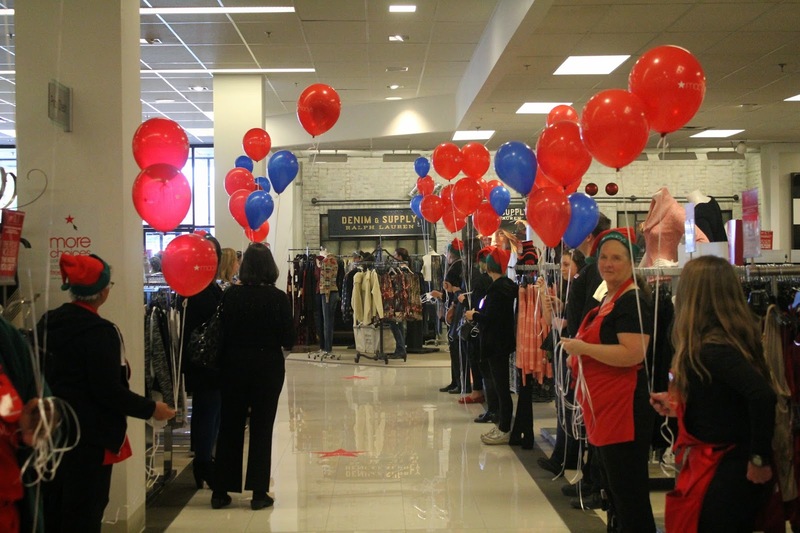 It's been a whirlwind few days and we are still very much in the midst of the fun, but I wanted to take a few minutes to write about our day last Friday... Macy's National Believe Day! 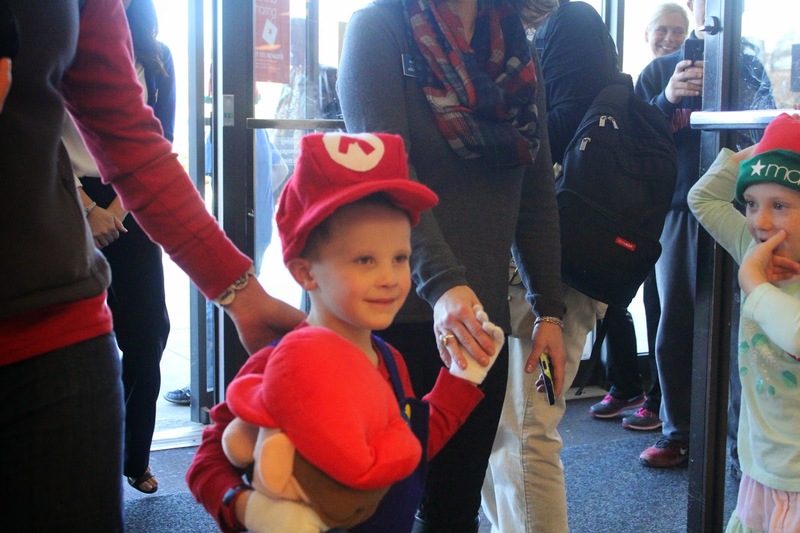 In case you happened to miss it, Chase's Make-A-Wish wish was to MEET MARIO. Or Mario come to life. Or have a Mario experience. 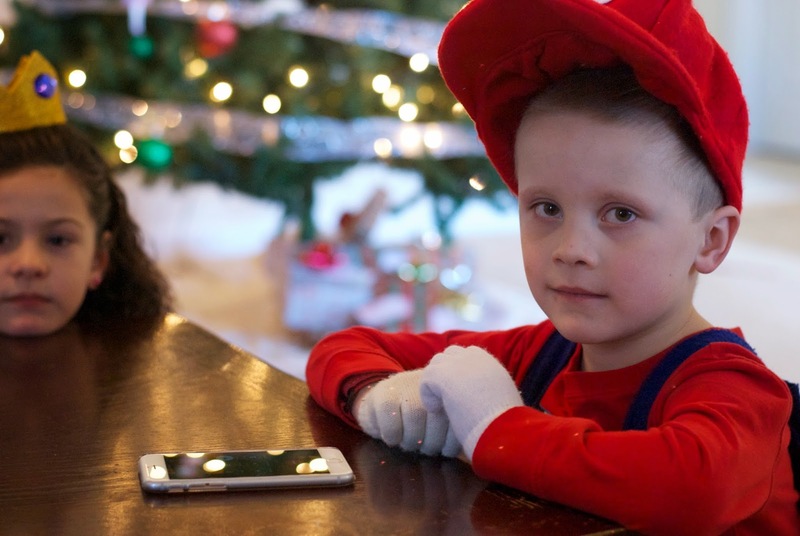 However you look at it, this boy wished for MORE MARIO in his life. 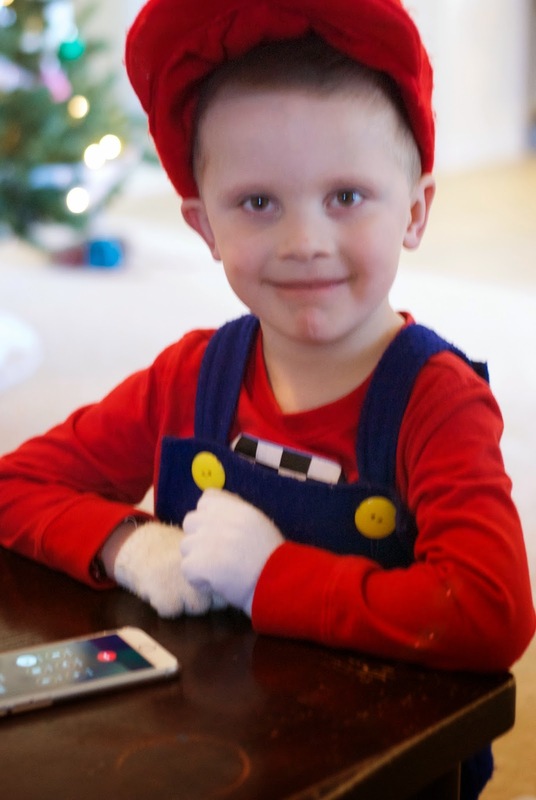 The fun started on Friday with a phone call from Mario himself. Literally, THE guy -- the one and only guy -- from Nintendo who is responsible for voicing Mario. Really, THE guy. It was amazing! Of course, we were all so excited about the call that we didn't answer it in time... but he left us a voicemail. Hilarious! We had been expecting that call for WEEKS (hubs and I, not Chase) and yet we couldn't even answer it in time. 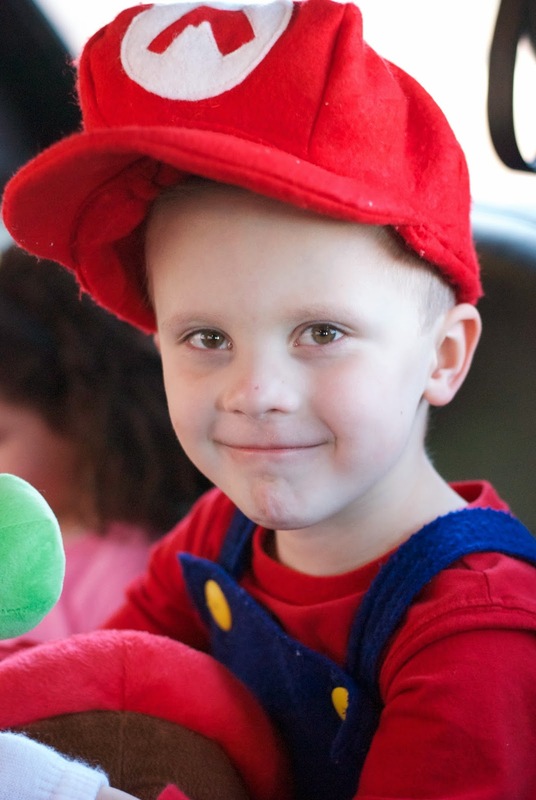 It kind of worked out in our favor because now we have the sweetest voicemail from Mario! And he called back a few minutes later, which was AWESOME. Chase doesn't get many phone calls, so he wasn't exactly sure what to do. 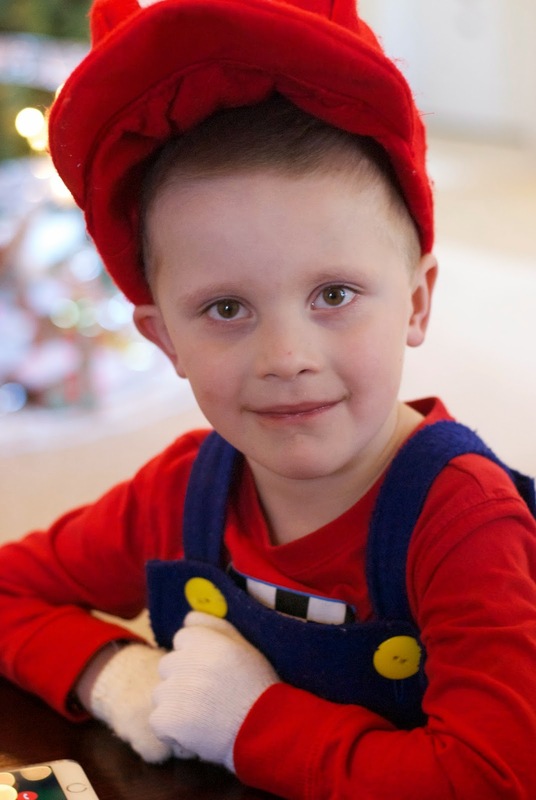 He answered Mario's questions by shaking his head yes or no, but didn't interact very much or ask any questions himself. But it was still adorable. 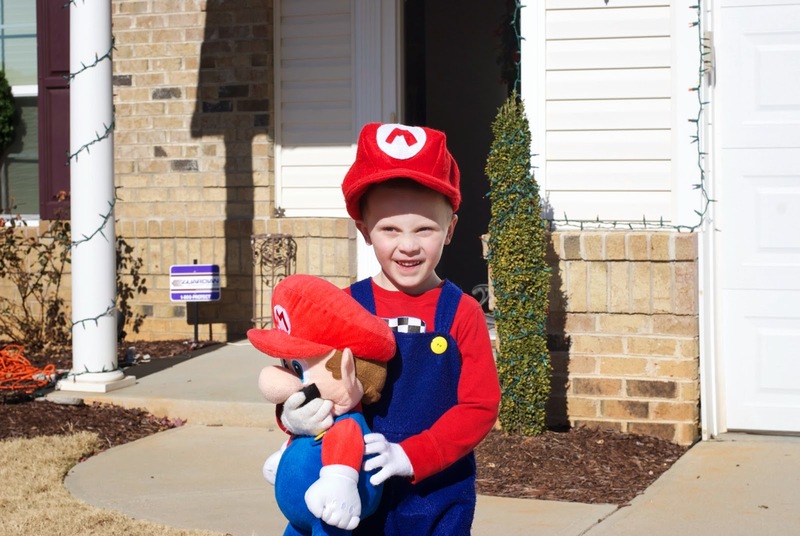 Somebody else was pretty excited to hear Mario was coming all of the way from the Mushroom Kingdom for a special visit with Chase! Love this beautiful girl. 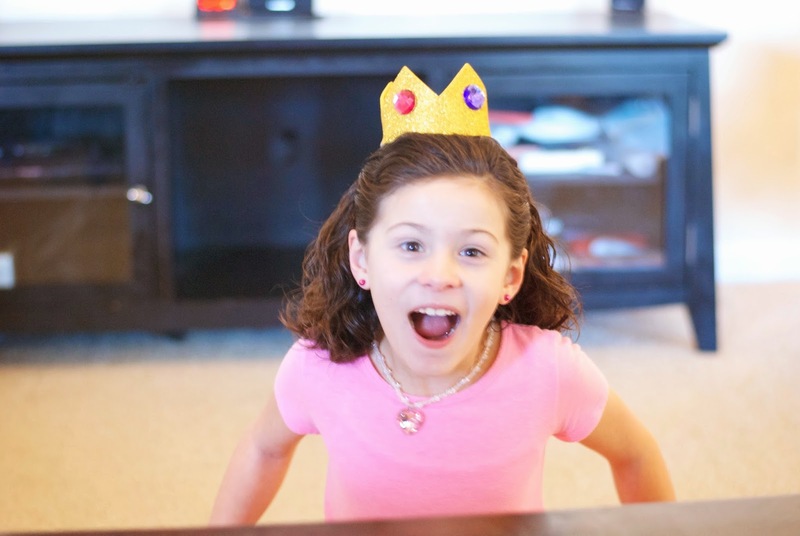 She was so excited and so happy for her brother! Here he is posing for a picture before getting in the limo. 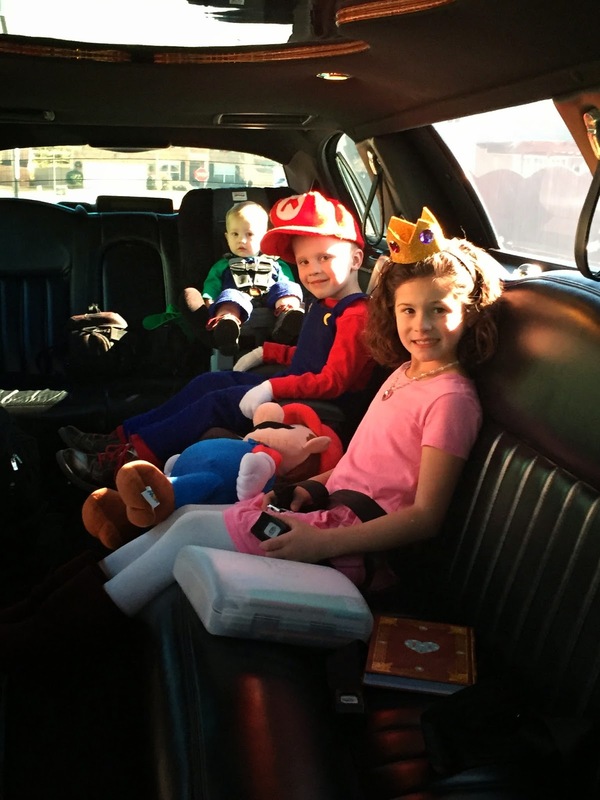 We have some pretty excited people in the limo -- ready to meet Mario! 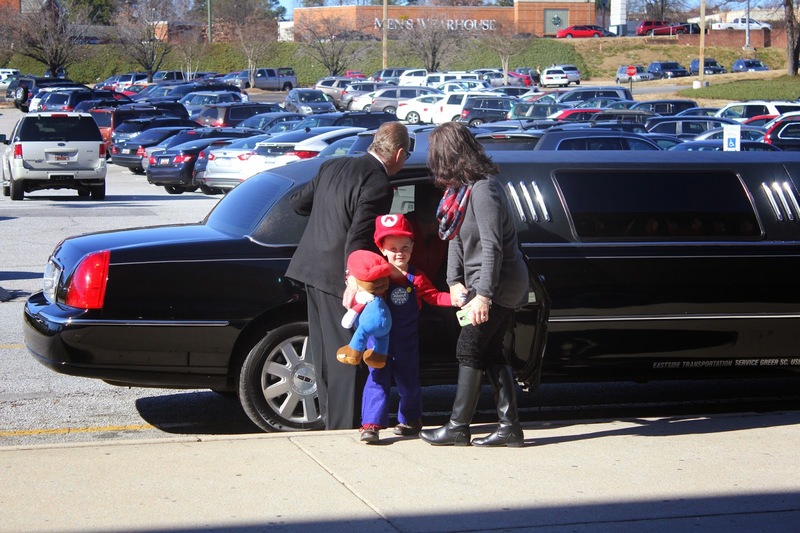 Everyone was there... Mario, Luigi and even Princess Peach! In the limo on our way to Macy's! We pulled up to Macy's and met with our amazing wish coordinator, Jodi, who was ready to walk in our star to meet his hero! There were lots of balloons and people waiting inside to greet Chase on the other end of the red carpet! Here's our boy Mario as he entered Macy's on the red carpet. I was SHOCKED at how well Chase handled the attention. He does NOT like surprises and I could easily tell he was overwhelmed, but I also watched as he processed everything and ultimately made the decision to go forward, one step at a time. I was so so so proud of him! I know it took a lot for him to react the way he did instead of hiding behind us the entire time, and I just can't say enough how proud of him I am!!! And there he is... THE one and only Mario!!!!!!!!!!!!!! 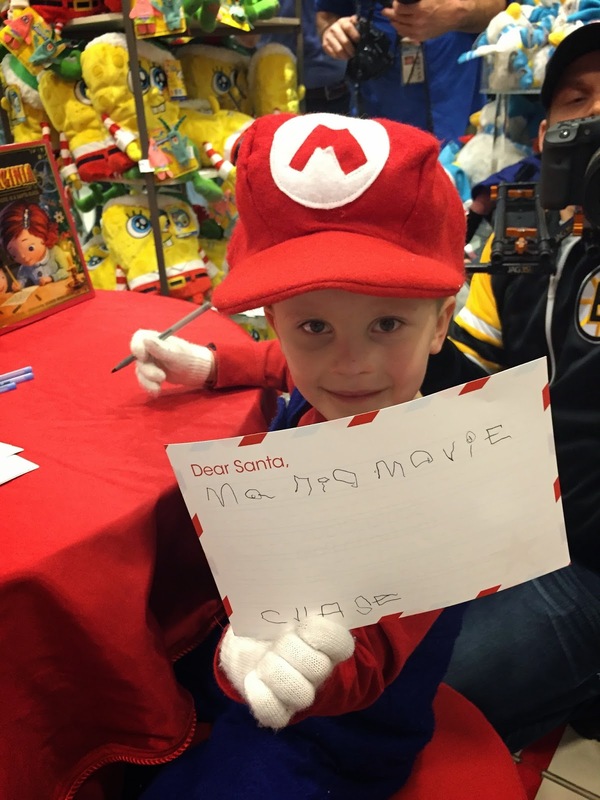 After meeting Mario, Chase was excited to be given the opportunity to write a letter to Santa (along with big sis, LO). It seems he'd like a Mario Movie! I was so impressed that he took the time to write out his letter and sign his name. Such a sweet boy!!! Time to mail the letters to Santa! 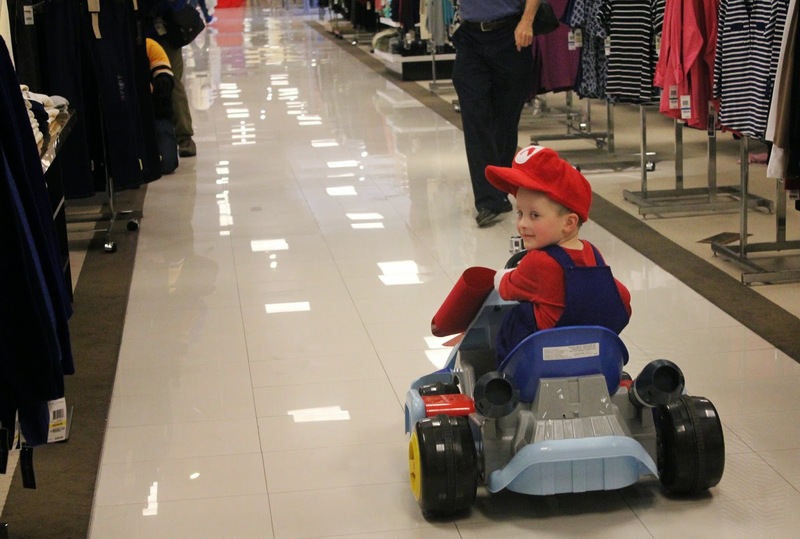 After the letter-writing and mailing, it was time for Chase to ride on his very own Mario Kart! 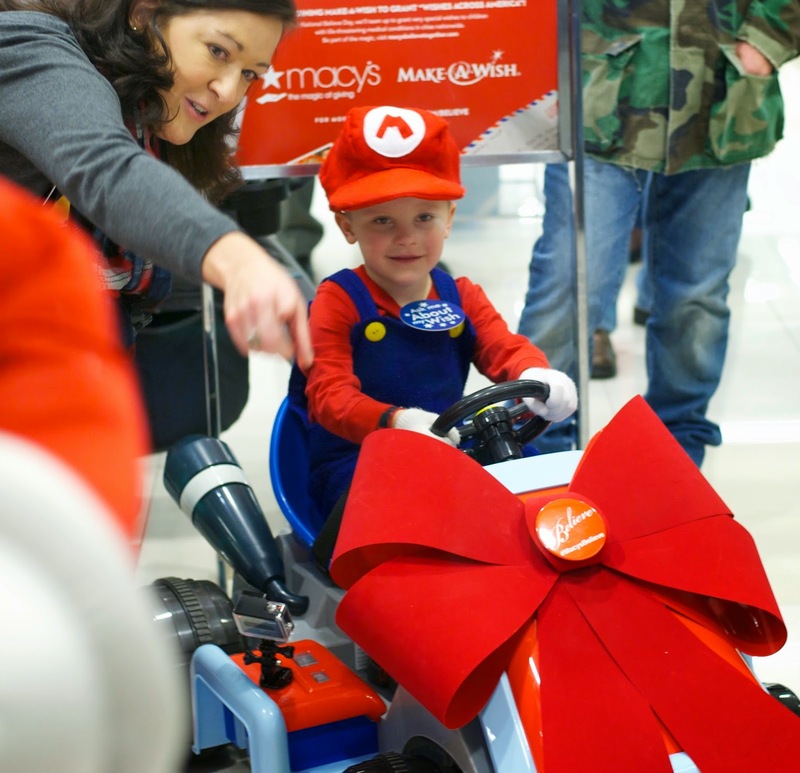 Yes, Macy's gave him a Mario Kart and let him drive all throughout the store! 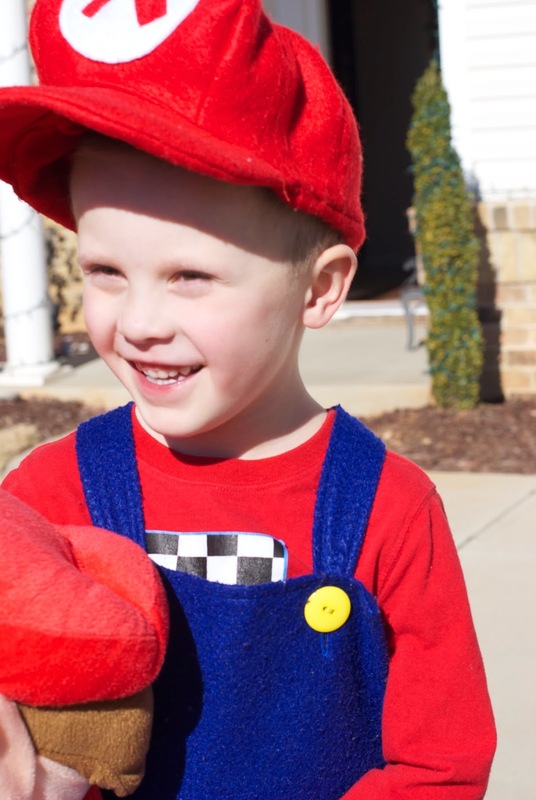 He even chased Mario around a few laps! 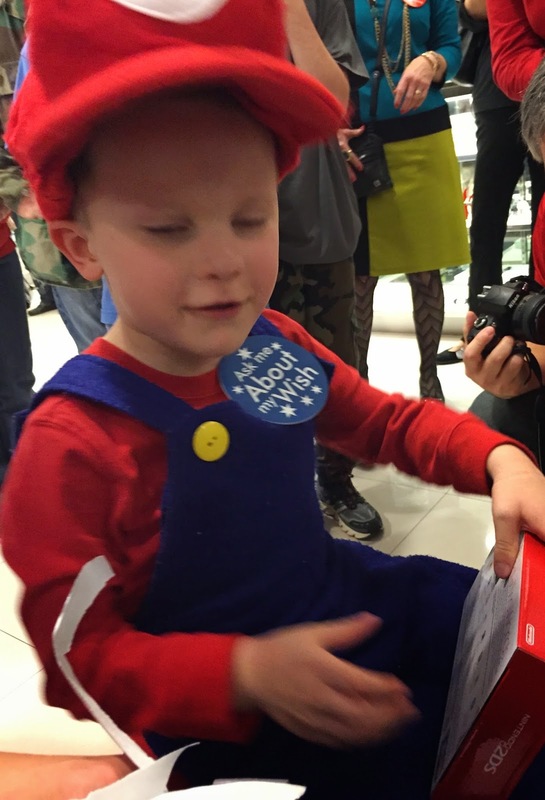 As if the visit wasn't amazing enough, it seems Macy's wasn't quite finished making this boy's dream a reality. 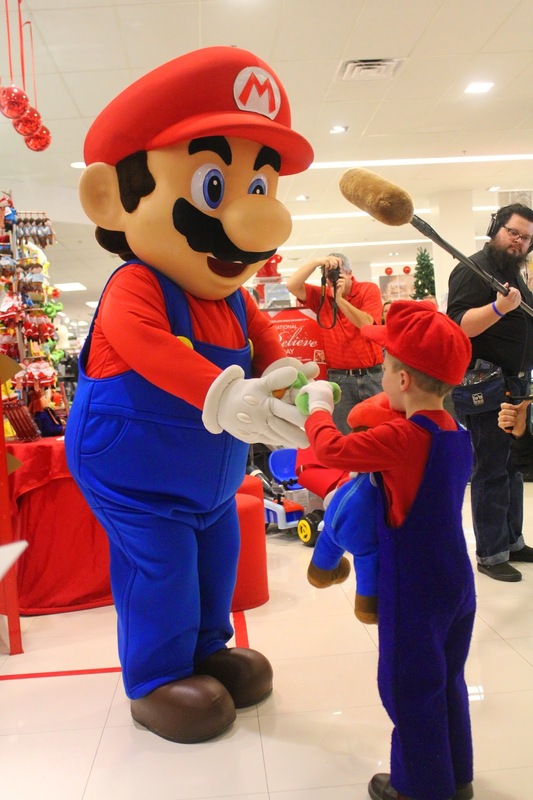 They gave him a H-U-G-E Macy's gift card, his very own RED Nintendo 2DS and three DS games he really wanted. Our littlest one, baby Luigi, certainly wasn't left out of the fun. 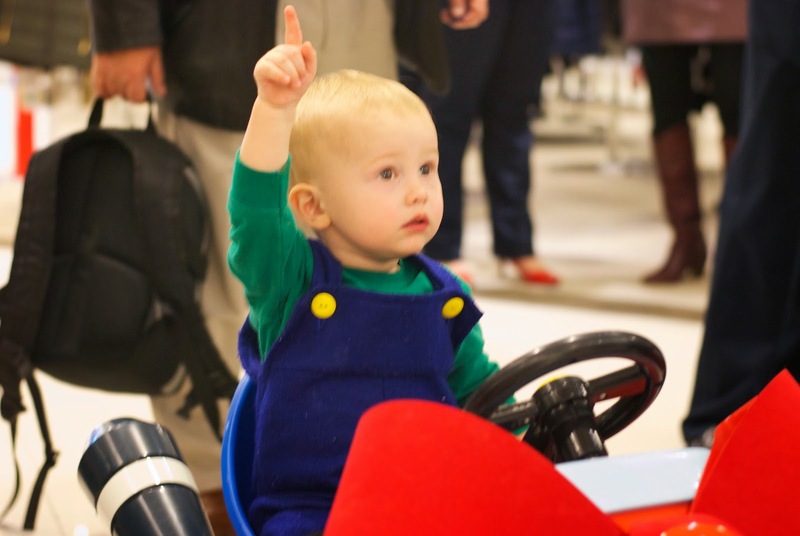 Here he is posing on big brother's Mario Kart! Here are just a few of the outstanding Macy's friends who made this day possible. 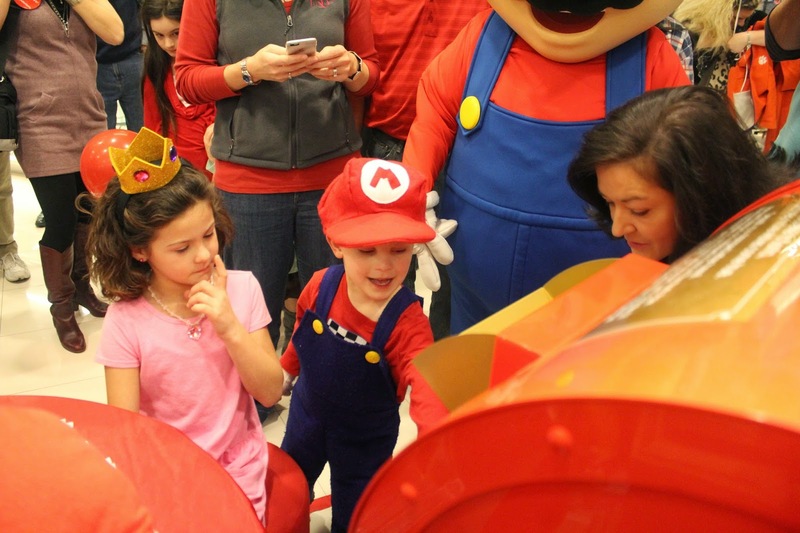 We are so grateful to Macy's, Nintendo and Make-A-Wish for making our little heart warrior's wish a reality! And here's a short clip from Macy's that summarizes Chase's day quite nicely! 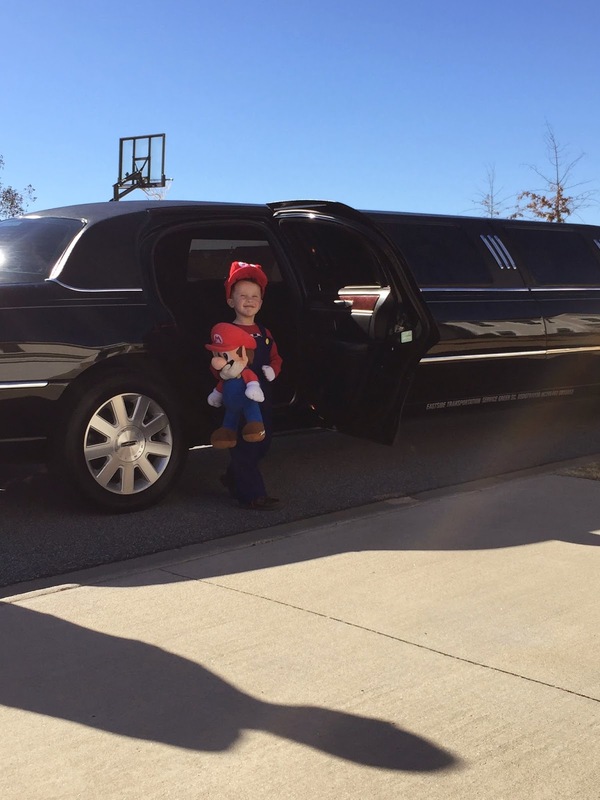 As if all of this weren't awesome enough, next, Make-A-Wish would be sending us off to New York City to visit the Nintendo World Store! Stay tuned for more!! !